These days, a good proxy for hacking prowess is getting Doom playable on the oldest piece of hardware imaginable. While we respect and applaud these efforts, perhaps the bar should be set a bit higher. Like orbital mechanics on an early 80s Kaypro, perhaps? At least that’s the hurdle [Chris Fenton] set for himself as a fun project for his spare time with his Kaypro 2/84, a vintage Z80 clocking in at a screaming 4 MHz and 64-kB of RAM. With its built-in 80×25, 9″ green phosphor CRT monitor and flip-top keyboard, the Kaypro fit into that loveable luggable category of machines and predated IBM’s and Apple’s market dominance by a few years. The CP/M operating system has actually aged pretty well — but well enough to port [Chris]’ Deep Dish Nine, a graphical game written for the Arduboy that uses Kerbal-like orbital mechanics skills to deliver interplanetary pizzas? In the first instance, no — the game, ported to Turbo Pascal, only managed fractional frames per second, rendering it unplayable. But with some very clever coding, [Chris] was able to improve refresh rates 10-fold. The optimization road not taken includes hardware hacks, like overclocking the Z80 or even replacing it with an FPGA and emulator, but that’s hardly keeping with the spirit of the thing. It’s always great to see vintage machines pushing the envelope. A great place to see them is one of the Vintage Computer Fairs, like the upcoming VCF Southeast in Georgia. We were at the one diagonally across the country a few weeks back, and they’re well worth the trip. Kerbal Space Program, the game that teaches engineers at JPL and SpaceX the basics of rocket design and orbital mechanics, recently had a giant update. 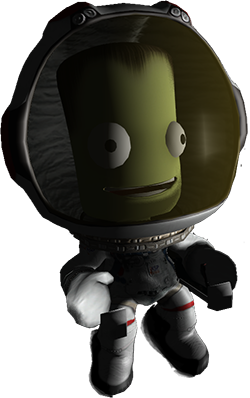 There are now science contracts that require you to fly Kerbals all over their tiny globe, collect data, and transmit it back to the Kerbal Space Center. As would be expected, this is a grind for XP, and the contracts sometimes don’t make sense – you need to collect data from cliff faces and mountain tops. Landing a Kerbal jet at these places is hard. [Matt Thiffault] wanted to do these science contracts more efficiently. The best way to get to a remote location without a landing strip would be a helicopter, but a harrier jump jet would do just as well. This isn’t supported in the stock game, so [Matt] wrote a complete control system for four engines to control a hovering Kerbal jet. [Matt]’s work is built on kOS, a scriptable autopilot mod for Kerbal that was originally intended to be something like the Apollo Guidance Computer. People have been using it to make computerized skycranes and automated rendezvous and docking programs, but these are actually relatively simple examples; there’s far more math involved in flying a quadcopter than there is getting into orbit. To build his automated hovering harrier, [Matt] needed an aircraft. His Kerrier has parts from the Kerbal Aircraft Expansion, B9, and Infernal Robotics mods for KSP, but this is only half the problem. Anyone can put four tilt jets on an airplane, and it takes a real wizard to force a control system to hover. Hover control of the Kerbal harrier is accomplished with a complete control system for a four-engined aircraft, with proper PID control loops and code updating at 20Hz. With kOS, the proper plane, and the right software running on this emulated guidance computer, [Matt] is able to park his plane in mid-air, have a Kerbal descend the ladder, perform some science, and return to base. It’s an impressive amount of work for a video game. A good thing, too: [Matt] is looking to get into controls engineering professionally. Whether this will go on his resume is another question entirely.